If you didn’t know, Cardi B has a younger sister, named Hennesy, and she’s just as polarizing as Cardi. The Bronx queen has been making quite the name for herself while capitalizing off her sister’s success, appearing on Vh1’s Love & HipHop, MTV’s Challenge, and lately getting into the fashion world. On Friday, Hennessy participated in one the biggest shows at Milan’s fashion week, the Philipp Plein Show, where she hit the runway to show off the German designer’s work. Hennessy has walked the runway at other shows in the past, but all were relatively smaller and nothing was quite as big as this. Hell, the show’s musical performance came from non-other than one of the hottest rappers in the world, Tekashi 6ix9ine & Chris Brown. 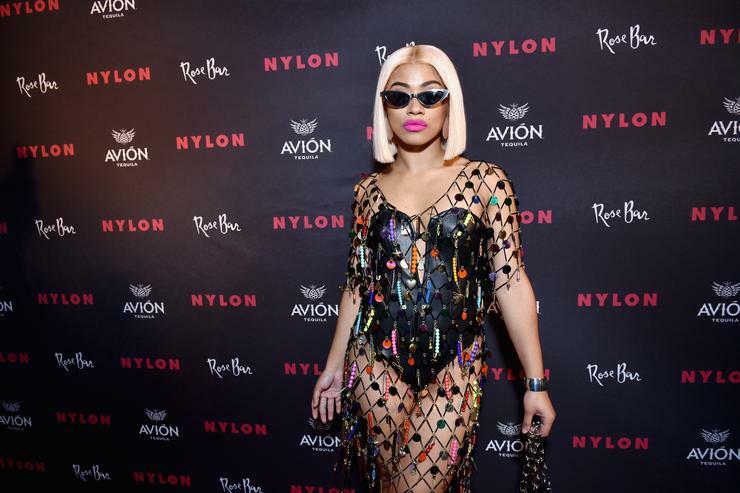 This news comes just a couple weeks after HEnnesy was in the headlines for coming to the defense of her sister following her “shoe-throwing” altercation with Nicki Minaj. “I don’t talk I fights,” Hennessy said responding to a fan asking why she’s not doing anything about her sister getting dragged online.